Results: 1 to 10 of a total of 346 results. Does oski belong in this group? Born and Raised! 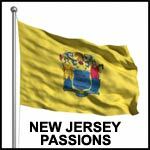 I was born and raised in NJ and I would like to meet a fellow NJ resident! Does pooba2099 belong in this group? Does jerseykid belong in this group? Does bashfulwanderer belong in this group?